American politician Joseph McCarthy in 1954. There was a bombshell political crisis coming from the White House nearly every day this week. President Trump reportedly asked James Comey to pledge his loyalty over dinner. Trump casually told Russian officials highly classified information passed along by Israel. Comey wrote a detailed memo about a Trump meeting during which the president asked him to drop an investigation into his former national security adviser. By Wednesday evening, the Department of Justice had hired a special counsel to investigate potential ties between Trump’s presidential campaign and Russia. Trump has not proven himself a student of history. He’s made incorrect statements about former president Andrew Jackson and social reformer Frederick Douglass, as well as taken credit for inventing the term “priming the pump” (it’s at least a century old). And, as US Representative Seth Moulton noted in his response to Trump’s “witch hunt” proclamation on Twitter, those in Massachusetts know a thing or two about witch hunts. “As the Representative of Salem, MA, I can confirm that this is false,” tweeted Moulton, a Democrat. In the 1950s, Senator Joseph McCarthy put to practice the definition of witch hunts: He made accusations about people, damning them without evidence and forcing the accused to prove they weren’t guilty. 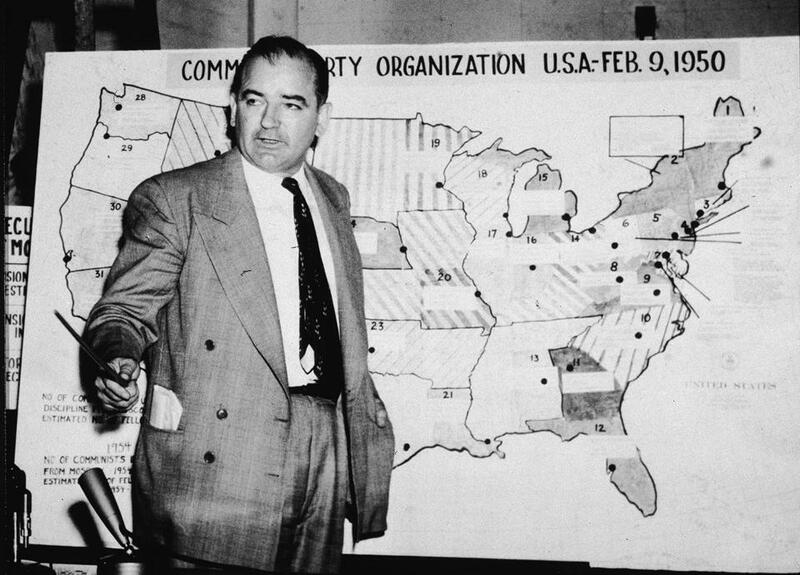 For McCarthy it was about, as he put it, rooting out secret communist sympathizers from all aspects of American life. In the end, the witch hunt of McCarthyism died when there was a lack of evidence to justify the large-scale effort. Fellow members of McCarthy’s Republican Party viewed his efforts as more damaging than helpful to anti-communism. There is something ironic about Trump complaining to be the victim of the “single greatest witch hunt of a politician in American history.” After all, he perpetrated one of the biggest witch hunts in recent US history over former president Barack Obama’s birth certificate. The implication, of course, is that Obama would be an illegitimate president if he was born outside the United States. The accusation reinforced the notion kept alive by mostly far-right conservatives that Obama wasn’t like most Americans and therefore had a suspect political agenda. The unfounded claim had been around for a few years before Trump brought the conspiracy theory to television news. When Trump hopped on his helicopter to New Hampshire to explore a run for president in 2011, Obama released his birth certificate. The matter died down for the most part, until Trump brought it up again during his 2016 bid. 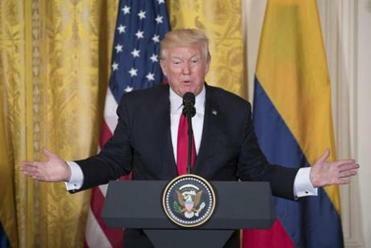 Trump’s tweet referred only to witch hunts of US politicians. But the greatest political witch hunt in history happened in 44 B.C. — the assassination of Julius Caesar. A group of senators conspired to allege Caesar wanted to do away with the Roman Senate and have absolute power. While there were tensions between Caesar and the Senate, there was also no evidence of his desired power grab. The conspirators eventually killed Caesar over the allegations. Even his longtime friend, Marcus Brutus, played a role in his death (Caesar’s last words were purportedly, “Et tu, Brute,” “Even you, Brutus?”). Historically, Caesar’s murder is seen as the catalyst of the fall of the Roman Empire. So while Caesar predates US history by more than 11 centuries, this witch hunt puts Trump’s newly appointed special prosecutor in perspective. Focus for a minute on the literal — not the figurative — “witch hunt.” In this sense of the word, there is no way that Trump can top what happened to Christine O’Donnell, a GOP candidate for US Senate in Delaware in 2010. O’Donnell was accused of actually being a witch. In response, O’Donnell ran one of the most memorable political advertisements of all time.